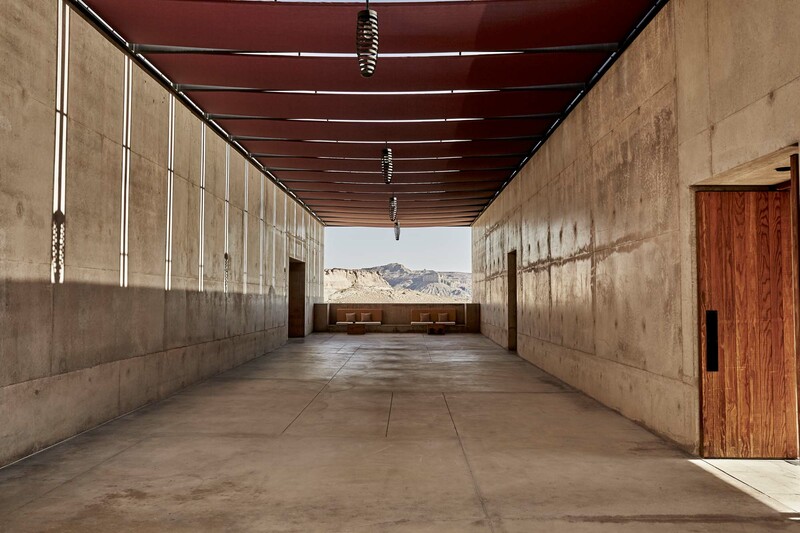 If you weren't looking for Amangiri there's a good chance you wouldn't find it. Perhaps it was just a mirage that I had seen in pictures on the Mr & Mrs Smith website. Perhaps it was the extreme fifty something degree heat we had experienced while exploring Arizona's Navajo Nation that was making it hard to see what lay amongst the extraordinary landscape before us. So vast and so majestic, ochre coloured canyons layered in pink light from the early afternoon sun led us down a winding dirt road to a typical iron cattle gate armed with nothing but an intercom box. We barely even noticed this as we could do nothing but stare, smile, laugh and soak in what nature was so kindly sharing. Surprisingly what strikes you when you get to the entrance isn't what you see but what you feel. Built on the border of America's largest Indian reservation and the only hotel permitted to do so by its elders it quickly becomes apparent that the architects and owners have gone to great lengths not to disturb or disrespect the land and its people. How is it that a concrete building can work as one with the landscape, not disrupting it but complimenting it, adding to the beauty not destroying it? What defies all logic to someone who knows nothing about architecture has indeed been built yet it is THE feeling that surrounds Amangiri that still stays with me. Drive | Nearly always our transport of choice, I would highly recommend making this a sweet treat at the end or in the middle of a road-trip. The scenery on nearly all routes is breathtaking in some way with incredible National Parks as stopover options. We drove from LA taking a few nights to explore Arizona before our two night stay. It's approx 8hrs on the road from start to finish so if this seems too much you can also fly into the main departure points that are St George, Flagstaff, Phoenix and Las Vegas where you can hire a car. The drive ranges from 2.5hrs and 4.5hrs from these points to the hotel. Amangiri is at the heart of the Grand Circle and within easy reach of some of the continents most magnificent protected areas including the Grand Canyon, Bryce Canyon, Zion National Park and Monument Valley. Amangiri is derived from the Sanskrit words for peace (aman) and mountain (giri). The resort is tucked into a protected valley in the heart of the Grand Circle. 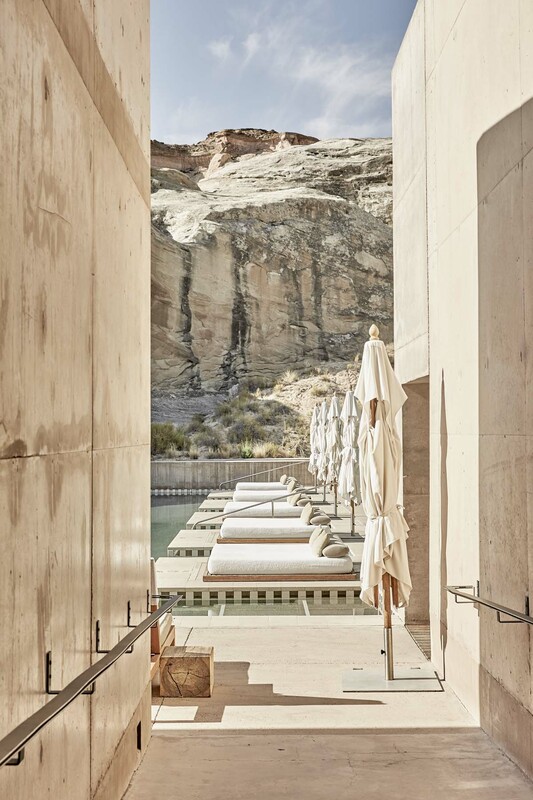 Situated on 243 hectares (600 acres) in Canyon Point, Southern Utah, Amangiri is surrounded by some of North America’s most breathtaking scenery. Designed by three individual architects every element of design has been considered to pay homage to the land that surrounds it. If you're an architectural buff then you need to read more on this but two things above all fascinated me. One is the pool which is built around a monolith. We were told that this rock was the reason the owner chose the location of which the pool had to be built around it but remain untouched. It took ten years for permission to be granted from the Navajo people for the site to go ahead. 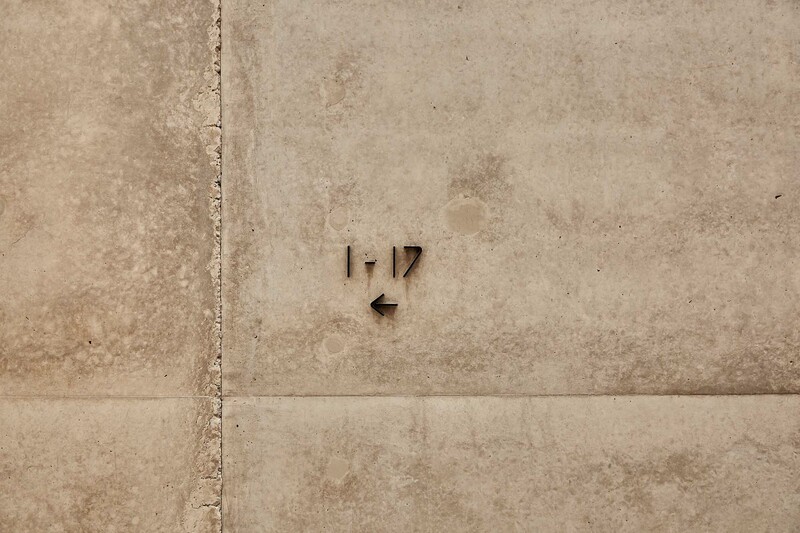 The other element is the concrete of the walls which have been mixed to hues of ochre, yellow and pink to blend with the sandstone cliff it sits within designed to weather and fade such as nature intended. There are so many outstanding adventures on offer for children either as a family or independently. Remember that most of these are additional costs to your room rate and there are age restrictions on some. I would advise contacting their activities team before your visit to get a clear understanding of what is on offer and they will put together a curated itinerary based around your family's needs and budget. Do not be discouraged to visit if your children's ages don't meet most of the activities offered. The pool is where they will most likely want to be, plus there are trails across the property that you can walk and explore with no guides. The kids loved the games and books in the library as well as cooking s'mores under the stars at night. Chocolate covered bacon was a first for all of us. 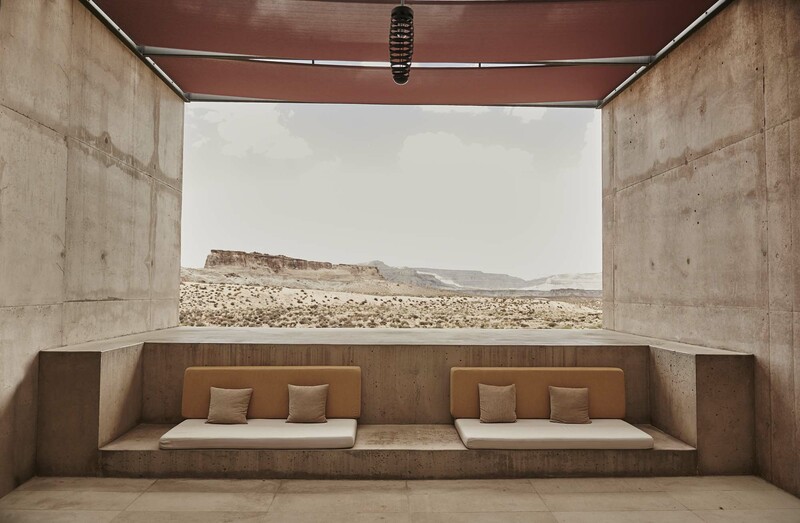 Amangiri is the perfect location for a family holiday, a romantic getaway or private retreat. As far as luxury hotels go they have mastered the art of having all three coexist. Around the pool or when dining they discreetly manage to give privacy to those who seek it and give freedom to families such as ours. In fact the children were so embraced by the staff and other guests that we felt very much at home. I love staying places where the staff are encouraged to chat and where you're free to get to know them. Having that familiarity with people by the end of your stay is really lovely. Not surprising the staff are exceptional and from all corners and all cultures of the world. I read about one-tenth of the resort’s staff go home to the reservation each night. We had explored Antelope Canyon, Horseshoe-bend, Lake Powell and Bryce Canyon before arriving, so we were really looking to relax and be still just to take in the beauty and make the most of hotel and location. 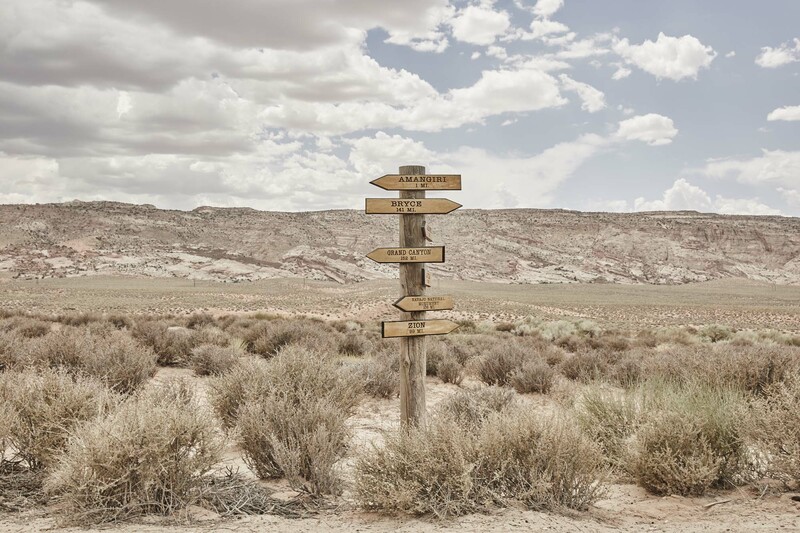 In saying that if you are fortunate enough to call Amangiri base camp then there is no better way to explore the four corners. 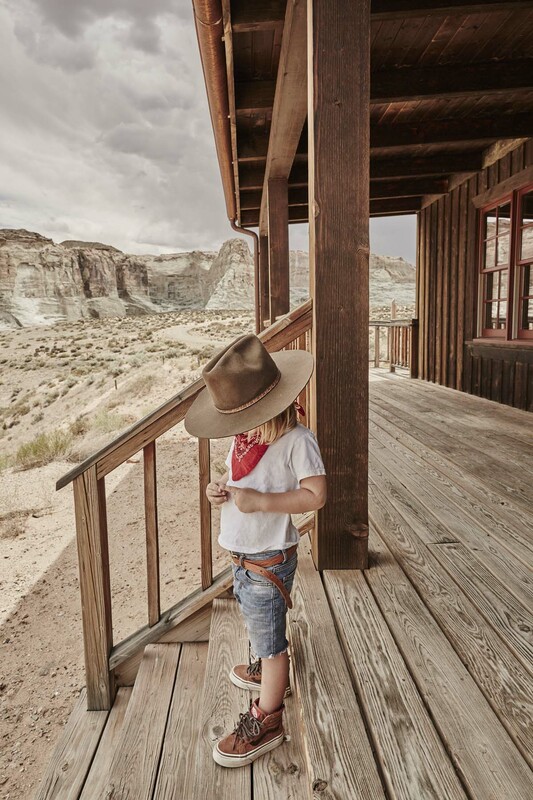 Amangiri have an in-house guide service for all adventures where everything can be customised to your family needs. 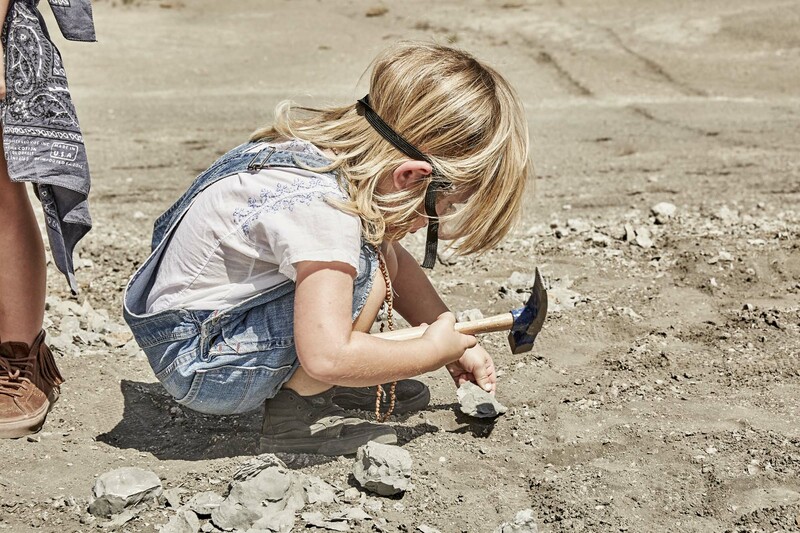 For example they have a wonderful archeology/nature program for kids; Digging for Dinosaurs - what kid doesn't want to do that? It was a half day program and we knew the kids wouldn't have the attention span for this or be able to manage the heat but wanted them to have a real palaeontology experience. Our guide customised the trip to 1.5hrs that took us off road along the Colorado plateau river known as the Jurassic park of America. A river bed over 90 million years old where the majority of the dinosaurs from the Jurassic period roamed and where their bones were discovered. There are so many ways to experience and learn about the home of the native Hopi and Navajo tribes. 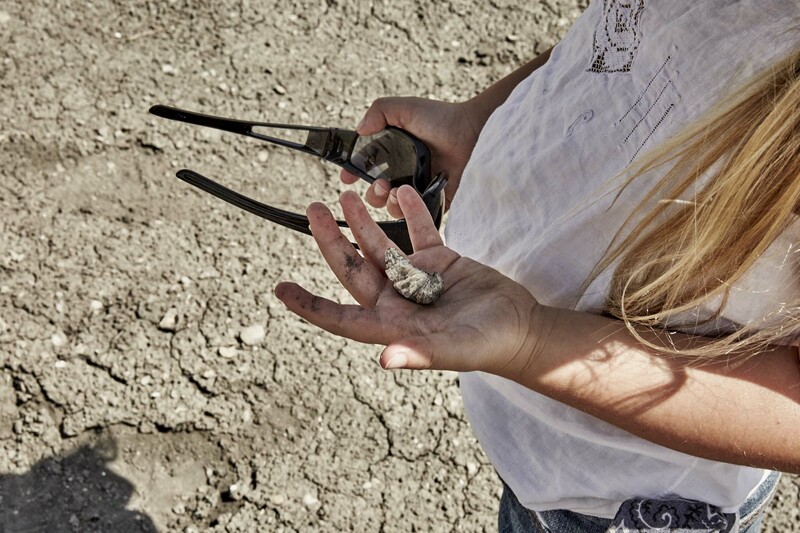 Horseback rides and hikes with expert naturalists, geologists and archaeologists. Take an early morning hot air ballon flight from outside your room to see aerial views of Navajo Mountain, Lake Powell and the Grand Staircase-Escalante National Monument. Discover everything from the rich cultural heritage of the Navajo with local guides at Slot Canyons and Monument Valley to storytelling and ritual dances. Immerse yourself amongst Amangiri's majestic rock formations where you can go rock climbing, via ferret ( a combination of ladder rungs, fixed cables and a guide ensure safe climbing and a dramatic perspective of the valley) and canyoneering. These are just a few of the offerings on property. Off property borrow a BMW and take the scenic drive to Zion and Bryce Canyon or spend the day boating on Lake Powell with a riverside tour. 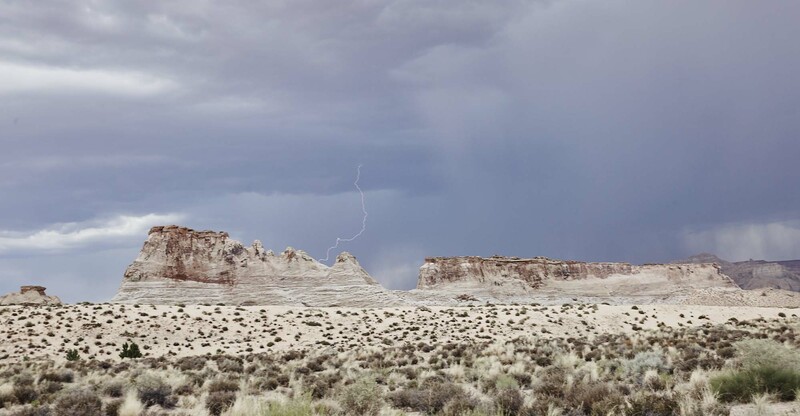 Explore the plateaus and deep canyons of the American southwest driving in an ATV (all terrain vehicle), go on a field trip to learn more about the condor eagle or go mountain bike riding, paddle boarding, kayaking - the list keeps going. Its good to note that the hotel offers so much by simply being where it is and at no extra cost. 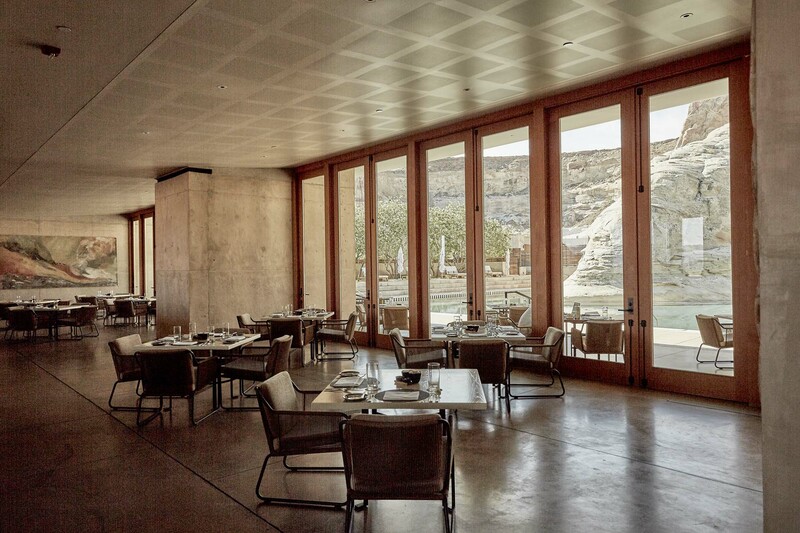 The cuisine at Amangiri is inspired by the American southwest and made primarily from locally sourced ingredients carefully selected by the chef. There are a number of locations to choose from. Within the hotel meals are served from an open kitchen to tables that look out through floor-to-ceiling windows over the ever-changing colours of the desert or by the pool. 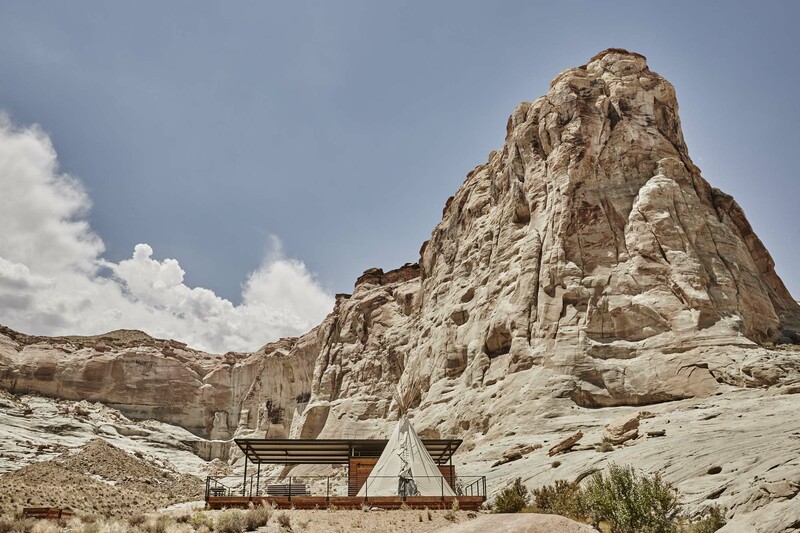 Outside there are a number of incredible locations where you can experience private dining such as Desert Lounge, Fireside Pavilion and the Chinle Tent Site. Picnics are available for all activities and remember to try the s'mores cooking class. If cocktails by the pool are your thing then try the margarita. With the adventure element aside think modern day Out of Africa and a touch of Talitha Getty. 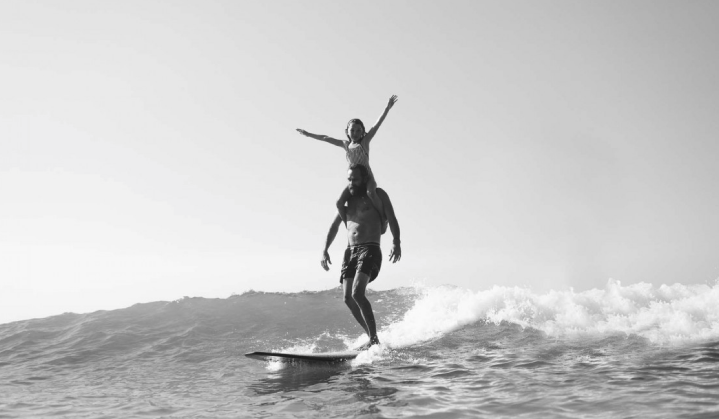 Keep it low maintenance as all travel should be but don't take out the fun. Holidays are about dressing up and embracing a mood, a way of life. Its part of the adventure and escape. There is everything on offer here. Private residences to understated luxury suites. One thing you can be certain of is that EVERY option offers spectacular views and the most stunning interiors. White stone walls, natural tones and textures, simple clean lines, crisp linens and my favourite, size appropriate bathrobes and slippers for the entire family. Yet it was the personal touches that made an impact. One night they had turned down the pillows and left cedar necklaces on them, hand beaded from the local Navajo women to ward of bad dreams. Another night they gave the gift of music in the way of an album from a local American Indian flute player. 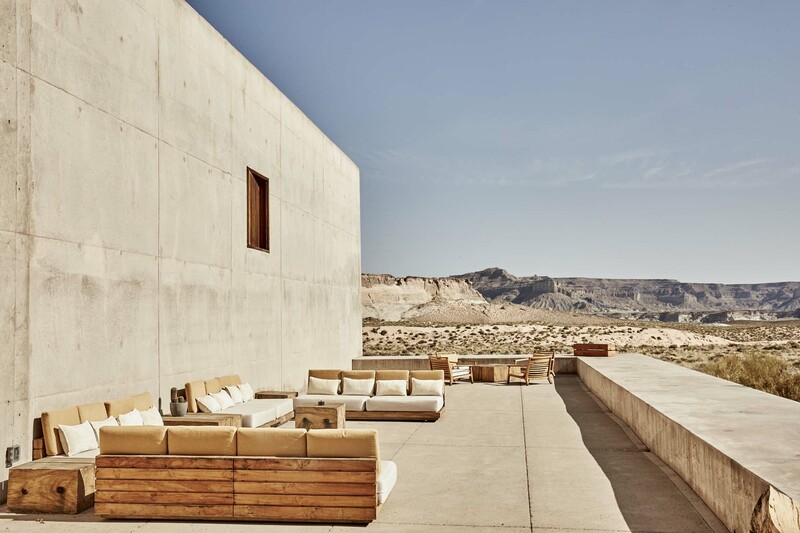 In short Amangiri is not just a fancy resort in the desert for rich folk. Sure it costs a pretty penny but in my book it's worth every cent because this experience goes so far beyond great service, fine dining and crisp sheets. It's the land, the history and its people that you experience the very minute you step foot there. This is a destination all year round depending on what it is you're looking for. If you want to avoid the desert heat but enjoy summer days then spring and autumn are for you where the days are mild and the nights are cool. We were there in July being the middle of the American summer. The days were hot but the evenings pleasant. To avoid the extreme heat plan your days for early morning and late evening activities with down time in the middle of the day poolside. I could imagine the winter months there being beautiful; that landscape covered in snow, red wine by the fireplace and all rugged up outside. Our biggest mistake was not investing in decent hiking boots. Hiking in America is a whole new level to Australia and sneaker mentality doesn't cut it. Major rookie move. Definitely pack all the obvious essentials. Sunscreen, hats, swimmers and dare I say active wear but don't let practicality take over your suitcase. If there was ever a place to indulge in the romantic notion of desert nights and mystical lands, this is it. A colour palette of chalky tones and dusty hues. White on white and textured neutrals accented by bold accessories and leather notes. A pop of colour or a point of interest created by tribal embroidery handwoven by artisans. The boldness of black, singular and dramatic with flow and length. -A feature necklace that becomes a piece offset by something simple. -A hat that says 'I'm on holidays and damn happy about it"
When booking on the internet you will find most rooms only show accommodation for two adults with an option for only one extra bed at additional costs. They do allow a family of four to stay in one room so make sure to ask the team at Mr & Mrs Smith to help with this. For bookings contact the expert team at Mr & Mrs Smith Hotels who specialise in unique luxury and boutique holiday experiences. They also work closely with locations that provide the very best of family travel and are doing a wonderful job at it. There are actually quiet a few on my list here. One being The Spa which is known for using the healing traditions of the Navajo through the four elements of earth, wind, fire and water. I was too afraid to enter the 25,000-square feet space in case I didn't come out. I also would love too visit the artist in residence Ulrike Arnold who paints at Broken Arrow cave with rock, wind, sand and rain. Her beautiful works can be found around the hotel. Something I would love to experience next time with the children is the "Horse and History" dinner. You take a one hour private horse ride to an amphitheatre that has been naturally carved from Entranda Sandstone called Gaa'Gii Bi' Too, meaning Raven's Nest. Here a Navajo Elder and traditional Native American dancers tell stories and share their culture. 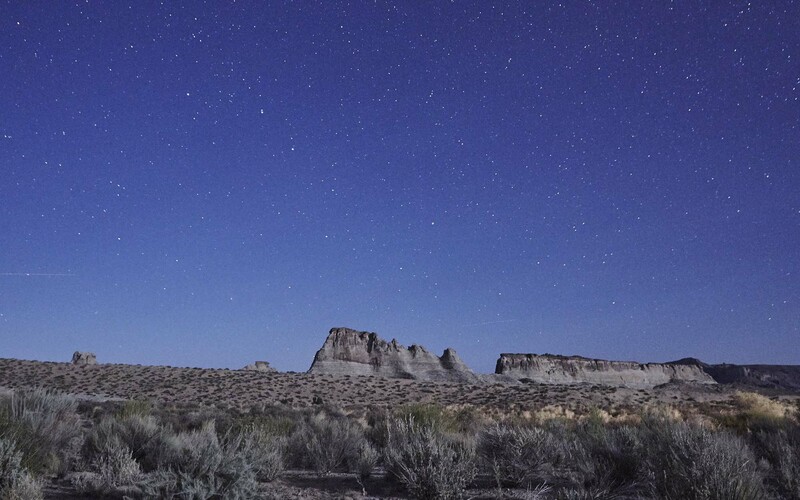 Here with camping chairs and a fire pit the chefs at Amangiri prepare a meal under the endless night sky.